"How odd to be made of flesh, balanced on bone, and filled with a soul you've never met." Charlize Wynwood and Silas Nash have been best friends since they could walk. They've been in love since the age of fourteen. But as of this morning...they are complete strangers. Their first kiss, their first fight, the moment they fell in love...every memory has vanished. "I don't care what our real first kiss was," he says. "That's the one I want to remember." Charlize and Silas must work together to uncover the truth about what happened to them and why. But the more they learn about the couple they used to be...the more they question why they were ever together to begin with. "I want to remember what it feels like to love someone like that. And not just anyone. I want to know what it feels like to love Charlie." Since Never Never is written by two of the best authors around, I knew it HAD to be good. 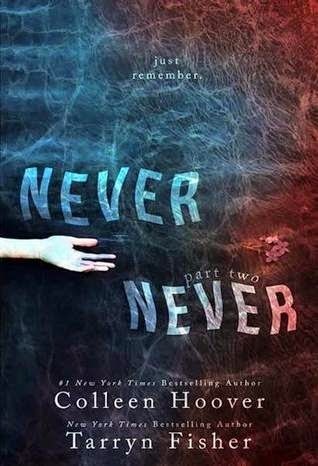 To be completely honest with you though, I have been holding out on reading Never Never because I knew the next part of the series didn't release until June. I am one of the most impatient people around but I decided I couldn't hold out anymore so I caved and read it before the 2nd installment released! In case you didn't realize it, this series is a set of novellas (short books) and thus each of them can be easily read in a couple of hours. I know, I know, you're probably thinking ugh, short books! I would have also preferred one long book, but I promise you this....Never Never is still a great book! And the fact that part one ends on a cliff hanger in my opinion is pure brilliance. I think part one ended in the absolute perfect spot, leaving a huge impact on the story, that may not have been felt if I could have turned the page and gone on. One thing I love about these 2 authors is that you are guaranteed to get something totally different. So of course the story begins with Charlie "waking" in a haze at school with no memories of who she is or anything about her life. She soon realizes that her supposed boyfriend, Silas has the same issue. Since neither one of them have any memories and they only have each other to rely on they are forced to work together to determine what the hell is going on. At this point, I am going to tell you a secret. I pride myself on figuring books out. It is kind of my thing. I am always predicting plot twists and texting theories to my blog partner. But this book has me completely and totally stumped. I don't even have a theory as to what is occurring to these characters. Yet, I am still loving every second of their story. If you want something completely out of the ordinary while addictingly wonderful, one click this book today! For some reason time seems to move extra slow when you are dying to read a book, and let me tell you I have been anxiously awaiting for this next installment to release. It finally happened last week and I excitedly jumped on the first opportunity I got to sit down and dive into part two. As you know, the first novella ended right at the moment when Silas and Charlie once again lost their memories. Luckily, this time Silas has access to some documents and letters, which help him piece together useful information as to what is going on, but like Silas we are still clueless as to the bigger picture of what is actually going on. On the other hand, Charlie has woken up in a strange room, with an even stranger nurse feeding her what we know is false information. 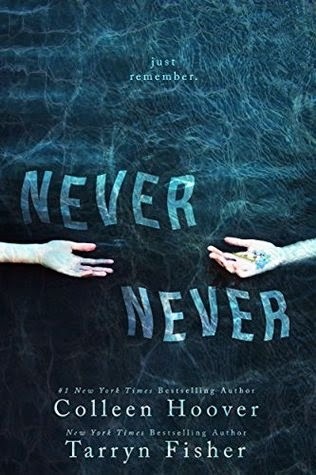 As Silas digs deeper into the mystery surrounding his memory loss his concern for Charlie's whereabouts grow exponentially because while everyone else seems to think she is just skipping school, he knows she is somewhere out there probably alone and scared with no idea as to who she is. Even as Silas searches for Charlie and uncovers more clues along the way I have to confess that I am even more clueless than before as to what is going on with these characters. Talk about a wild ride! I try to look for clues in everything, so imagine my frustration at still not having a theory or even a possible ending in mind. I literally have no idea where part three will take these two characters and how their story will end and I LOVE it! I cannot wait to read the final book in this series. Part two has left me even more vested in Charlie and Silas' story. Any book that keeps me guessing from start to finish is absolutely going to be one I'm highly recommending. However, if you are the type of reader who can't stand cliffhangers and short snippets of stories then I suggest you wait until all three parts are released and then buy them all at once, because once you start, you are not going to want to stop reading until this mystery is solved.